Lucille Peters Callahan, 95, of Terre Haute passed away Monday afternoon, January 28, 2019. A life-long resident of Terre Haute, she was born March 29, 1923 to J. Ralph Peters and Harriet Kisner Peters. Her husband, John Patrick Callahan, preceded her in death on January 18, 1984. Survivors include her three children, Jane Harriman of Wiscasset, ME, Dan Callahan and his wife, Nancy, of Terre Haute and David Callahan and his wife, Molly, of Terre Haute; five grandchildren, Jennifer Ashmore and her husband, Artie, Elizabeth Hill and her husband, Ryan, John T. Callahan and his wife, Marie, Grace McManus and her husband, Michael, and Jon Harriman and his wife, Amy; and two step-grandchildren, Eric Briggs and his wife, Kara and Jenna Schuchard and her husband, Kevin. Also surviving are great-grandchildren, Amelia, Desmond, Parker, Lucy, Eleanor, Patrick, Taylor and Sarah; step-great-grandchildren, Madalyn, Lincoln, Everly and Lane; several nieces and nephews; and her beloved Kisner cousins. In addition to her parents and husband, she was also preceded in death by a son, John Peter “Johnny” Callahan; and a granddaughter, Amanda Callahan. Lucy was a graduate of Garfield High School, received her bachelor’s degree from Indiana University and her master’s degree in Special Education from Indiana State Teacher’s College. During her teaching career in special education, she taught with the Vigo County School Corporation and at Indiana State. 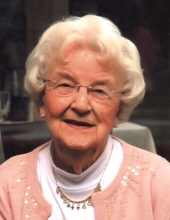 Lucy was a long-time member of Centenary United Methodist Church and was especially fond of her membership in Alpha Sorority at ISU and her 75+ year membership of Pi Beta Phi Fraternity for Women at her beloved IU. One of Lucy’s greatest passions in life was tennis. She was a Terre Haute junior tennis champion and had won the Terre Haute City Ladies Tennis Championship as well. She continued playing tennis well into her 70’s, and with the assistance of her daughter, Jane and two of her granddaughters, she was able to travel to England to personally watch the Wimbledon Tennis Championships in 2000. Lucy was also an avid golfer and greatly enjoyed playing golf (and, of course, tennis) with her many friends at the Country Club of Terre Haute. In addition to her athletic abilities, she loved attending Kisner Family Reunions and was quite the flower gardener as well, loving every moment she spent digging in the dirt and tending to her flowers. As with nearly every grandparent, her grandchildren and great-grandchildren were so very special to Lucy. Any activity with the grandkids was where she wanted to be. Lucy’s family would like to offer their heartfelt appreciation to those who provided such loving care for her in the last few years including, Richard Bernard, Brooke Oxendine, Westminster Village, Westminster Health & Rehab, Hands That Serve, VNA/Hospice of the Wabash Valley and Dr. Gary Fitzgerald. She will be remembered for her fierce independent spirit to the point of being “feisty”, her energetic “go, go, go attitude” and her dedicated and endearing love of family and friends. Visitation is scheduled for Saturday, February 2, 2018 from 4:00-7:00 PM in Callahan & Hughes Funeral Home, 605 South 25th Street. Private funeral services and private burial in Calvary Cemetery are scheduled as well. As much as Lucy loved flowers, it would be her sincerest wish that memorial contributions be made instead to Union Health Foundation, 1606 North 7th Street, Terre Haute, IN 47804; Centenary United Methodist Church, 301 North 7th Street, Terre Haute, IN 47807 or to the Vigo County Education Foundation, 686 Wabash Ave, Terre Haute, IN 47807. Funeral information and tributes may be found at www.callahanandhughes.com . To send flowers or a remembrance gift to the family of Lucille Peters Callahan, please visit our Tribute Store. "Email Address" would like to share the life celebration of Lucille Peters Callahan. Click on the "link" to go to share a favorite memory or leave a condolence message for the family.